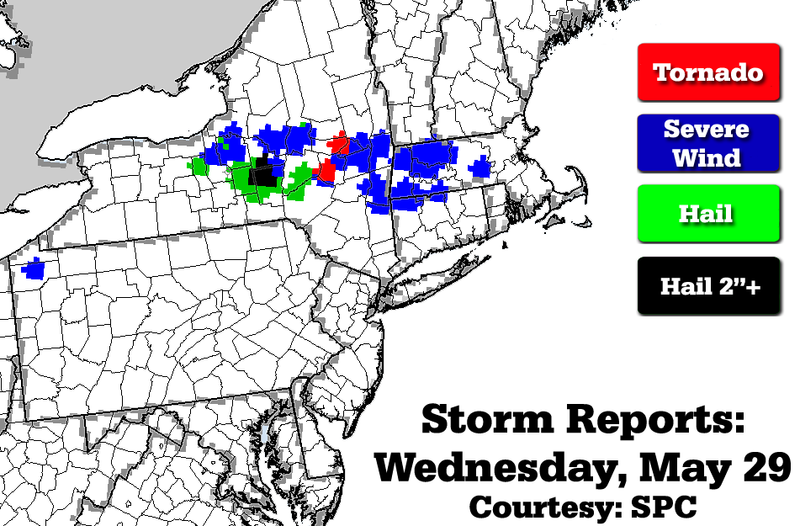 Two tornadoes (an EF-2 and an EF-1) touched down in eastern New York on Wednesday, both around 7:00 p.m., according to the National Weather Service (NWS). The stronger tornado, an EF-2, had winds of up to 125 MPH and caused damage along a relatively wide and long path. The tornado width was estimated at 1 mile wide with a track length of 17 miles from Florida to Rotterdam. The second tornado formed just to the southwest of the EF-2 tornado, around the same time. 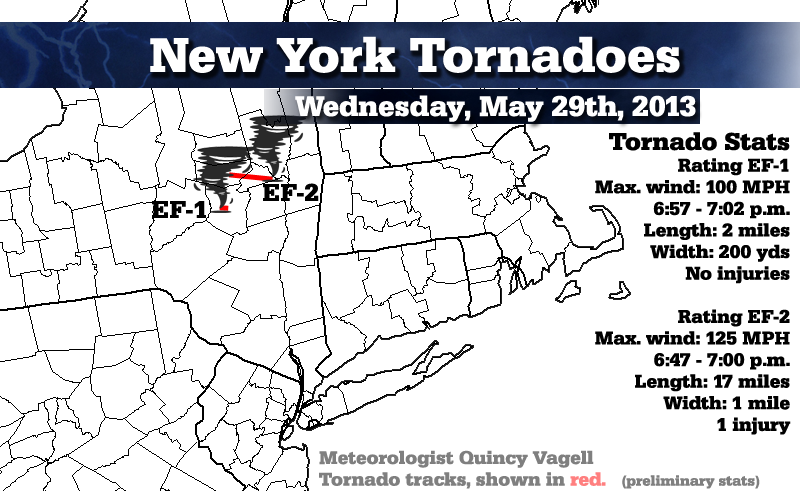 It was a weaker and shorter-lived tornado, but was associated with the same powerful squall line that was moving east-southeast across New York. An upper level shortwave disturbance passed across New York state on Wednesday. Daytime heating across the state helped destabilize the atmosphere. Veering winds aloft created an environment that was conducive for the formation of tornadoes. 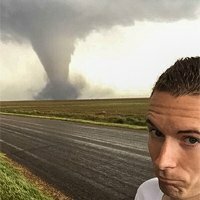 I was actually chasing the EF-2 tornado, but was too far west to catch up to it. Heavy rain, flash flooding and traffic didn't help matters. As I drove into the Rotterdam area along I-90, I noticed cars parked under overpasses. While they may have not witnessed the tornado, I'm sure they experienced strong winds and may have been aware of the Tornado Warning. Personally, I did not see a lot of damage, but the tracks of the tornadoes were mainly south of I-90, which was my route of travel. 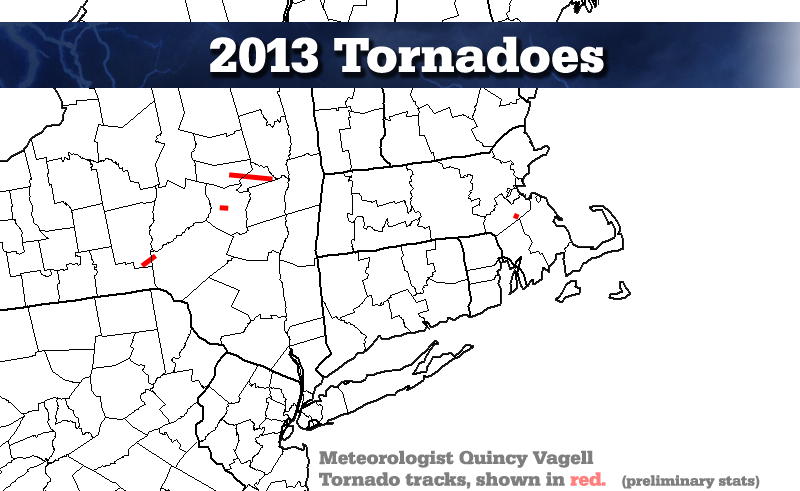 TORNADO TOUCHDOWN IN MONTGOMERY AND SCHENECTADY COUNTIES ON WEDNESDAY MAY 29 2013. BEGAN IN FLORIDA IN MONTGOMERY COUNTY NEW YORK TO ROTTERDAM IN SCHENECTADY COUNTY NEW YORK. ESTIMATED MAXIMUM WIND SPEED...125 MPH. ESTIMATED PATH WIDTH...1 MILE WIDE. * THE INFORMATION IN THIS STATEMENT IS PRELIMINARY AND SUBJECT TO CHANGE PENDING FINAL REVIEW OF THE EVENT AND PUBLICATION IN NWS STORM DATA. SUMMARY...PATH WIDTH WAS CONSISTENT ALONG THE ENTIRE PATH LENGTH. MAXIMUM DAMAGE INCLUDED ROOFS TORN OFF OF MULTIPLE STRUCTURES AND HIGH TENSION POWER LINE TOWERS TOPPLED. LARGE NUMBER OF HARD AND SOFT WOOD TREES WERE EITHER TOPPLED...UPROOTED AND OR SHEARED. WIDESPREAD POWER OUTAGES OCCURRED AS WELL. 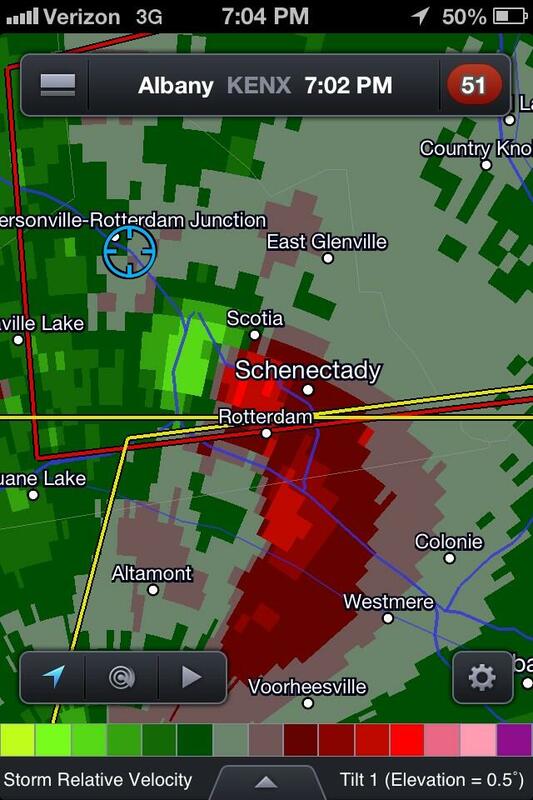 TORNADO TOUCHDOWN IN SCHOHARIE COUNTY ON WEDNESDAY MAY 29 2013. SUMMIT AND EAST JEFFERSON IN SCHOHARIE COUNTY NEW YORK. ESTIMATED TIME...657 PM TO 702 PM. ESTIMATED MAXIMUM WIND SPEED...100 MPH. SUMMARY...BRIEF TOUCHDOWN ALONG RIDGE LINE SEEN FROM JUNCTURE OF DUTCH HILL ROAD AND WHARTON HOLLOW ROAD. DOZENS OF SOFT AND HARD WOOD TREES FALLEN IN DIFFERENT DIRECTIONS AND SHEARED OFF. ALSO TREES DOWN IN DIFFERENT DIRECTIONS ALONG ENID ROAD AND PERAGLIA ROAD. Next entry Severe WX Outlook Through Friday Morning: NE/mid-Atl.